Red, Right, Returning – when returning from the sea, make sure the red buoys are on the starboard (right) side to stay in the channel. This phrase was drilled into my head as a kid when I learned to sail, leaving the secure confines of our harbor for the big wild sea. Every business, organization, entrepreneur, C-suiter, yes, humans need ballast - guiding principles, missions and core values to help navigate the big wild sea. Herein lies a fundamental paradox: the importance of getting outside one’s comfort zone, exploring, discovering, lens-shifting and living at the edge based on a foundation of values providing guidance and ballast – like the bell buoy at the harbor entrance. What’s your Red, Right, Returning? For entrepreneurs, C-suiters and humans, it’s your personal values you won’t compromise, your integrity, character, the impact on those that work for and with you and the impact on those around you – family, friends, acquaintances. 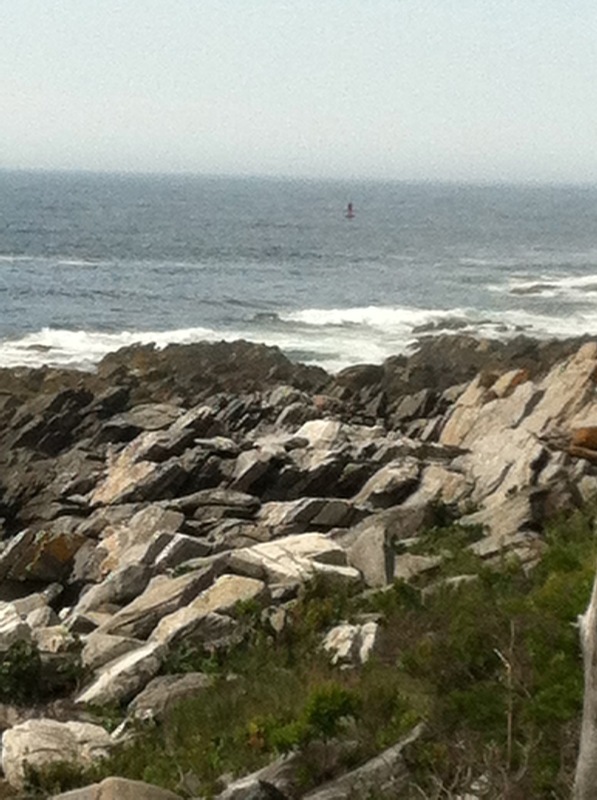 The photo is of the Pemaquid Point Gong Buoy #2 at the entrance to the Johns River and Pemaquid Harbor. It is my favorite bell buoy gifting a sound that gives me comfort, rest and peace. A sound I return to over and over – after a long day of excitement, stress, hectivity, whatever (yes, I have it on my iPhone). As you approach the end of summer, before the fall arrives, what is your Red, Right, Returning? What is your ballast? Defining, refining, communicating that is not a ‘nice to have’, it’s not something that ‘can wait til later.’ It’s something that is critical to your organization and business, to your customers, your employees, your stakeholders and yourself. Please spend some time to reflect, rediscover and then launch out to sea, knowing that buoy is always there.